A few ruined paintings to create the perfect example of creation through destruction. 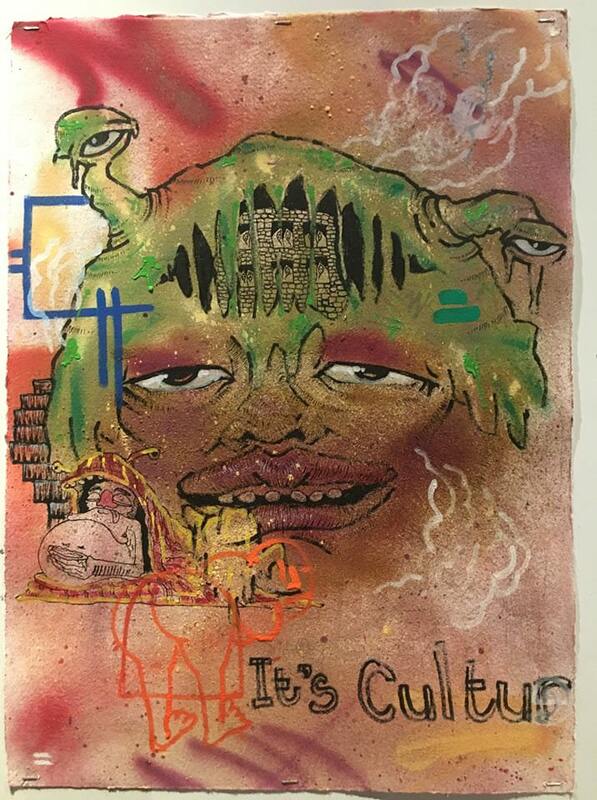 Cape Town-based artist, Skubalisto, has created a painting which he describes as “the effect Phumlani Pikoli’s writing has on [his] creative process”. 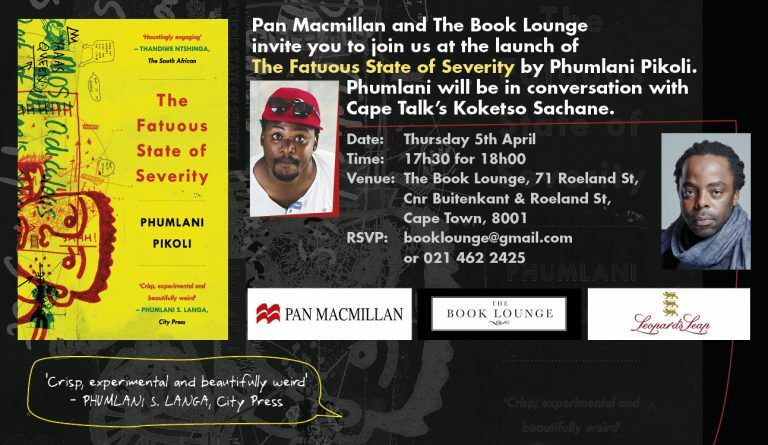 The painting will be auctioned tomorrow at The Fatuous State of Severity launch in Cape Town. Join us at The Book Lounge, 5:30 for 6PM. 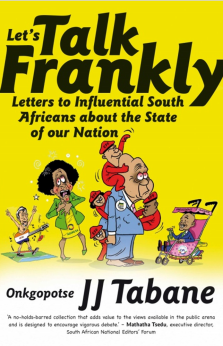 Intense and provocative, this new edition of the book, which was first self-published in 2016, features six additional stories as well as an introductory essay on Phumlani Pikoli’s publishing journey. Phumlani Pikoli is a multi-media journalist and multi-skilled artist. He was born in Zimbabwe in 1988. 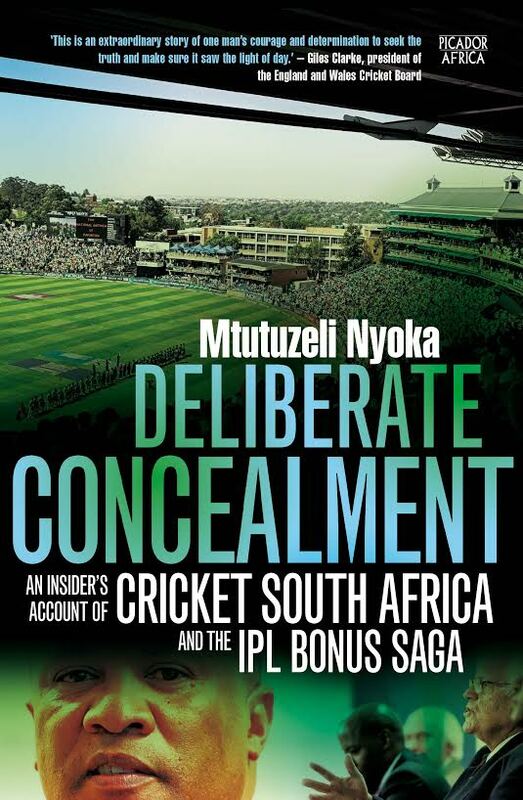 This is his first time being published by an actual publishing house and he intends to write and publish many more books without restriction to form. Rebecca Davis recently spoke to artist Michael Elion who revisited his “Perceiving Freedom” sculpture on Freedom Day this year to reflect the ongoing protest against xenophobia in South Africa. 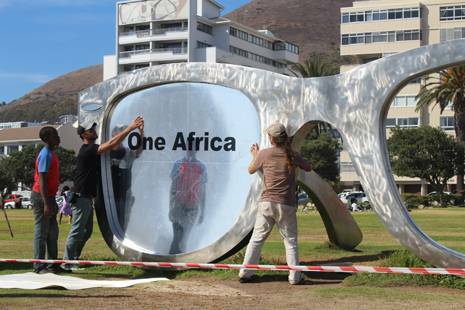 Davis explains that Elion erected the pair of sunglasses at the Sea Point promenade in 2014 “as a tribute to Nelson Mandela”, but the meaning went awry and the sculpture was vandalised. This year he returned to give the work of art new meaning. “I just wanted to add another good story into the narrative of this country,” Elion told Davis, author of Best White and Other Anxious Delusions. This time around the artist invited people to share slogans of their own and to express their feelings about xenophobia. On Monday, Elion and a small team spent the morning on the Promenade re-installing lenses with a vinyl covering. On the sea-facing side of the lenses, the words “One Africa/ One Love” are printed. On the back: “My Freedom Is/ Your Freedom”. Pens have been tied to the sunglasses to allow members of the public to add their thoughts on the lenses. The Magwood and Twigg Book Salon and Pan Macmillan invite you to an evening of food and wine with Esmé Berman, author of Alexis Preller: Africa, the Sun and Shadows, a biography of the enigmatic artist’s life, tracing the evolution of his iconographic and cryptic work. The event takes place at the In Toto Gallery in Birdhaven (near The Wanderers Club) and is a paid-for evening covering the cost of the food and wine. To book, email camillatwigg@iburst.co.za. Forget the metric system — vinyl always sounds cooler when it’s measured in inches. Take the seven-inch Munny, a best-selling soft vinyl doll produced by American company Kidrobot, the world’s “premier creator of limited edition art toys and apparel”. The Munny, and Kidrobot’s other big seller, the Dunny, has been included in the permanent design collection of New York’s Museum of Modern Art. And when it comes to the Munny, the only acceptable conversion is the DIY kind. I’m busy working on my third novel, typing away on my laptop. My books really take form only once the writing’s done and I start editing. My wife loves reality television and celebrity shows. I love sport. Often, I have to swap my wife a Stormers-Sharks game for a Keeping up with the Kardashians. It’s popular culture. Africa, the Sun and Shadows is a fascinating and detailed account of Alexis Preller’s life and artistic journey. This engrossing biography leads the reader through the twists and turns of Preller’s uncompromising career and passionate private life, tracing the evolution of his fascinating iconography along the way. It is a story filled with drama and told with empathy and skill by Esmé Berman, who was a personal friend of Preller’s and who has enjoyed a distinguished career as a lecturer, writer and broadcaster on art. This book brings one of South Africa’s pre-eminent artists of the 20th century to life. Some of Preller’s most famous works are featured in the twelve-page colour section. There are black and white illustrations on every page (over 500 in all). The work of noted photographers David Goldblatt, Constance Stuart-Larrabee and Richard Cutler is featured. Alexis Preller was especially influenced by Vincent van Gogh and Paul Gauguin and visited European galleries and museums to study these artists’ works. For decades, Esmé Berman has graced the art world with her profound presence and insight. She is the only surviving member of the revolutionary Wits Group consisting of the great artists: the late Cecil Skotnes, Christo Coetzee and Larry Scully, to name a few, and she has written numerous prolific art historical books throughout the years. Most notably, in 1970 Art & Artists of South Africa was published- a pictorial dictionary which has become a professed Bible for academics in the art field. 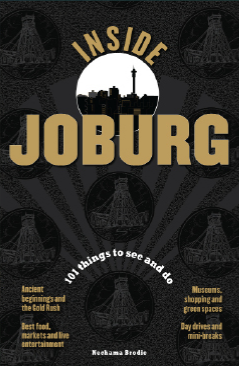 Nearly 10 years ago Jo’burg launched the Johannesburg Art City Project, which aimed “to transform the centre of Johannesburg into the world’s largest outdoor art gallery”. 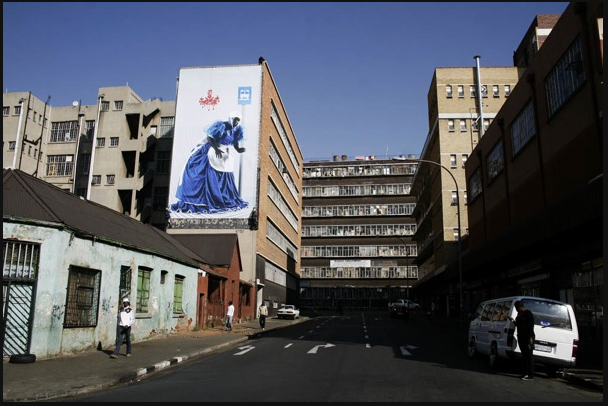 The concept had been brought to the city by a Wits law student named Saul Symanowitz and was intended to promote South African artists and showcase the city’s urban-renewal projects through a series of massive public art installations, including a number of art “billboards” draped across inner-city buildings. The art indeed went up — mostly thanks to large private-sector support from Cell C — but the city seemed to resist the unwieldy makeover that resulted. Eight years later Perkes is getting the chance to dress the city again — this time with a single artist, Mary Sibande, whose artworks from her exhibition Long Live the Dead Queen will be displayed as 19 giant building-wraps in the inner city over the next three months, sponsored by the National Lottery Distribution Trust Fund. You write a lot about tourists from different countries in Paris. What did you notice in the way that each nationality travels, and what do their specific idiosyncrasies say about their cultures? What stood out for me was the difference between rich and relatively well-to-do travellers and those who are not wealthy. The poorer the travellers looked, the bigger their group was. The richer they appeared, the fewer people in their group. The French have a reputation for being rude. Did you find this? Do you think their rudeness is mistaken for “Gaelicness”? Would you agree that they are more amiable, and justifiably so, when you attempt to speak a few words of French? This is a difficult question for me to answer. I do not really know French Parisians. I was there during the 2007 Rugby World Cup. I don’t think there is a city in the world that does not show its best face and put its best foot forward when it is hosting a major event. So, frankly, I can’t say I know French Parisians. To have a take on this question I would have to return to Paris during a normal period. Veteran South African photographer, Dr Peter Magubane has been honoured in New York for his role in documenting the atrocities of Apartheid and South Africa’s transition to democracy. He was the main honouree at a Gala Dinner hosted by Shared Interest – a non profit fund that has enabled US Investors to provide micro-financing to economically disenfranchised communities in South Africa since 1994. Renowned South African photographer Peter Magubane, who immortalised Madiba in his book Man of the People: A Photographic Tribute to Nelson Mandela, is soon to be honoured with this award from the International Centre of Photography in New York. Magubane joins the list of previous ICP winners such as Annie Leibovitz and Karl Lagerfeld. Peter Magubane is to receive the Cornell Capa award named after the famous photographer and founder of Magnum. The Lifetime Achievement award is being made to famous photo editor John G. Morris. Other winners are Gilbert C. Maurer/Hearst corporation ICP trustees award; Raphaël Dallaporta young photographer; Luc Sante writing; Looking In: Robert Frank’s “The Americans” by Sarah Greenough publication; Lorna Simpson art; Reza photojournalism and Gentlemen of Bacongo by Daniele Tamagni applied photography. ICP’s ongoing mission is to present and champion the variety inherent in the photographic experience. The Infinity awards, first presented in 1985, were created to recognize the contributions of influential photographers and emerging young talent. This program attracts an audience of more than 700 prominent guests annually from the photography, art, and fashion worlds. It celebrates an international group of accomplished individuals who are receiving what is widely recognized as the most coveted honour in photography. Recipients are chosen by a jury from submissions compiled by a changing international nominating committee. Peter Magubane, acclaimed South African photographer and author of Man of the People, was the subject of a lengthy CNN “Inside Africa” piece recently. “Photography brought Apartheid to its knees,” says Magubane, detailing how his and others’ images brought the reality of the crisis to the rest of the world. 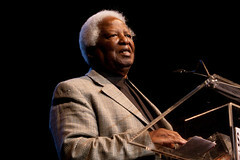 Peter Magubane was born in Vrededorp, now Pageview, a suburb in Johannesburg and grew up in Sophiatown. He became more attracted to photography after doing some photography using a Kodak Brownie as a schoolboy. He was highly inspired by the works of great photographers of the day, especially those from Drum magazine who encouraged him to start working there as soon as the opportunity arose. It came in the form of an opening as a driver and messenger but he three months later he made his way into the hands of Jurgen Schadeberg who trained him to be his darkroom assistant until he was given his first assignment as field photographer to cover the 1955 ANC convention in Bloemfontein. In the 1950s he covered many important political events, including the treason trials and demonstrations against the pass laws.